We think of our homes as little boxes, with walls that run straight and true. In reality, it's impossible to find a wall in any home that is 100 per cent vertical and flat. Likewise, floors always have imperfections or areas where they are slightly uneven. When you're tiling, you'll need to work around this problem and figure out how to achieve a perfect finish. Otherwise, you'll find that your tiles stick out, and you may find that moisture creeps underneath. On floors, uneven tiles can also be a trip hazard, so it's critical to deal with the problem. Walls tend to be uneven for two main reasons. Either the wall itself has sagged slightly over time, or the surface of the wall is not completely flat. Either way, the best course of action is to remove the boards, then re-board and re-skim the walls so that you have a a flat surface to work from. Make sure your plasterer understands your end goals so they ensure the surface is as flat as possible. For dents and small imperfections, you can fill gaps in the plaster with an adhesive cement. This works for dings and holes up to about half a centimetre in depth. Mix a small amount and work quickly, as it could set before you have chance to use it if you're slow. You can sand the cement to a flat finish when it's completely dry. If you need to lay tiles on an uneven floor, the best option is to use a self levelling compounds first. These compounds are very good at filling in dips in a floor, and need nothing except gravity and time to do their work. You can buy these compounds from any major DIY store; they are often used in preparation for underfloor heating. Make sure you buy enough self levelling compound to cover the entire floor in the room. If you try to level isolated areas, you will end up with dips where the different floor types meet. Most compounds set in a few hours, and can be tiled over within a couple of days. If all else fails, you could try the tiler's classic technique of 'back buttering'. This is a process of spreading thick mortar on the back of some tiles, while spreading it thinly on others, using the mortar itself to smooth the gaps. To get a completely flat finish, you can then lay a board over the tiles while the mortar is wet and gently tap them into their final position. And if that doesn't work, we recommend that you swap your large tiles for the smallest mosaic tiles you can get away with. These tiles are much more forgiving, and tend to cope with uneven surfaces very well. 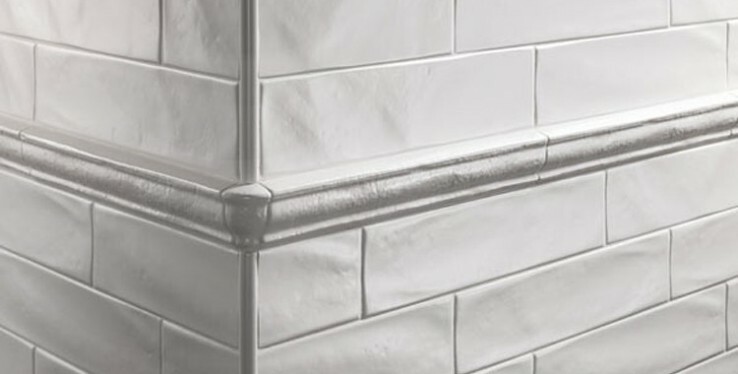 As a rule, the more lumps and bumps you see in the wall, the smaller your tiles need to be. Tiling problem areas is tricky, and it's not always obvious that problems exist until you're half way through the job. Where possible, call in a professional who will spot uneven surfaces before they start. If you're certain that you need to do the job yourself, call us for advice on your tiles. Bring in a couple of photos, and we'll help you choose the right size tile for the job.